Are you a morning person who likes to feel like they’ve achieved great things by lunchtime? Or a night owl that needs anything before midday to be in an easily digestible format – both in terms of information and caffeine? Are you an eCommerce enthusiast? If any of the above applies to you, you’re in luck, because our upcoming M2 event on Thursday 5th May has something for everyone! Any eCommercer worth their salt will have heard that Magento has upped its game with a new version, Magento 2, but not everyone will know what’s changed, or how to make the most of those changes. We’ve gathered M2 experts together at our Morning with Magento 2 event, so sign up now and discover how to make the most of Magento 2! UKFast is joining with eCommerce experts Space 48, online marketeers Dotmailer and keynote speaker Ben Marks of Magento to make your morning spectacular. A morning with Magento 2 is taking place at UKFast Campus on Thursday 5th May and is totally free (as an added bonus, you get breakfast too)! You’ll get the lowdown from the experts on new Magento capabilities and how to use them to maximise your Magento solution. 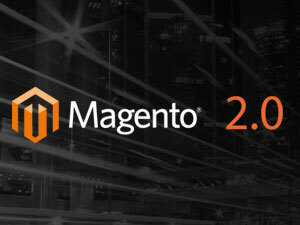 Magento 2.0 has the potential to make a massive difference to your site but how can you make sure you’re making the most of it and optimising your eCommerce sales? Don’t miss out – sign up now for free!